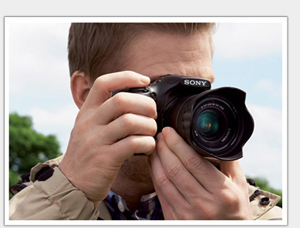 Take professional-looking 20-megapixel photos effortlessly with the a3000 interchangeable lens camera. Unlock your artsy side the easy way and shoot stunning, frame-worthy images and HD video with small-camera simplicity. Best of all, can't-miss moments and fast-action shots are captured with DSLR quality and speed – all in a lightweight camera you'll want to take everywhere. 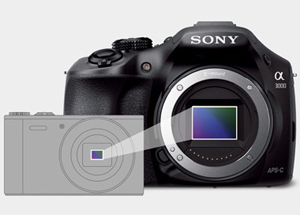 The a3000 uses the same sensor format that Sony builds into its full-sized Alpha DSLR cameras. With 13 times the area of the typical point-and-shoot image sensor, Sony's APS-C sensor size delivers an exceptional combination of high resolution, high sensitivity and gorgeous, blurred backgrounds. 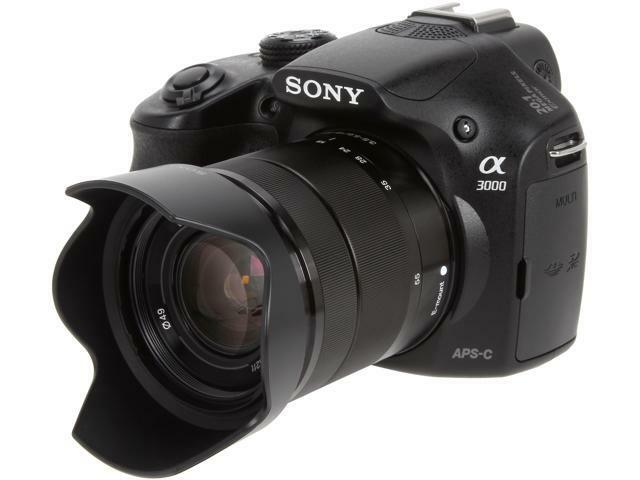 The a3000 is compatible with Sony's wide section of smaller and lighter E-mount lenses. With an array of lenses ranging from high zoom to macro, your photography is open to a world of endless creative options. 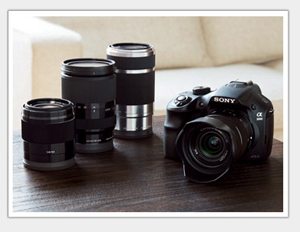 A-mount lenses are also available with the versatile and optional Alpha mount adapter (LA-EA1). Using larger, more professional digital cameras can sometimes be awkward to manage and can weigh you down. 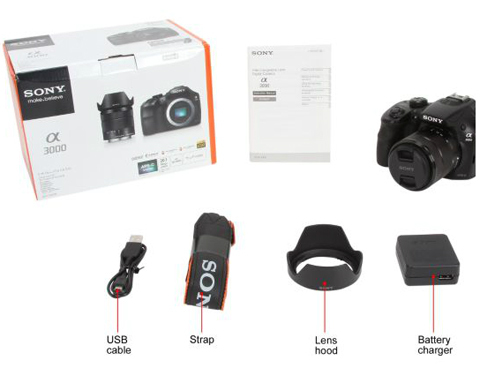 But, the a3000 offers a lightweight body and a newly developed grip that enables you to hold the camera more securely for worry-free shooting. It provides ease and comfort when you're taking photos on-the-go. Not only does the a3000 take high resolution, magazine-worthy photos, but it can also capture stunning HD movies in your choice of standard 60i or cinematic 24p, all at Full HD 1920 x 1080 resolution. 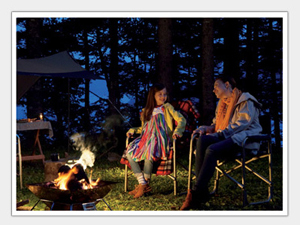 The AVCHD™ codec delivers stunning Blu-ray™ HD picture quality. Also included is the MP4 codec which offers smaller file size for easier uploading to the web for sharing. Capture stunning low light photos using the new Exmor sensor that features the same adaptive noise reduction technology found in Sony's high end, full frame SLT-A99V DSLR. 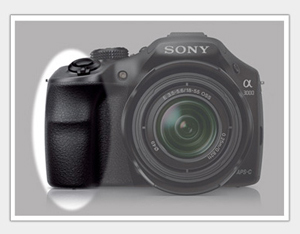 The a3000 offers a wide range of sensitivity from ISO 100 to ISO 16000. If you enjoy taking photos via the large 3.0" LCD screen over the viewfinder, then you'll be thrilled with the performance of the a3000 optimized auto focus feature. 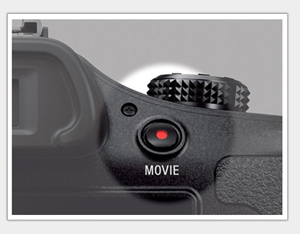 Its intuitive operation means you'll never miss the action or get frustrated waiting for your camera to focus as you shoot stunning images or HD video. 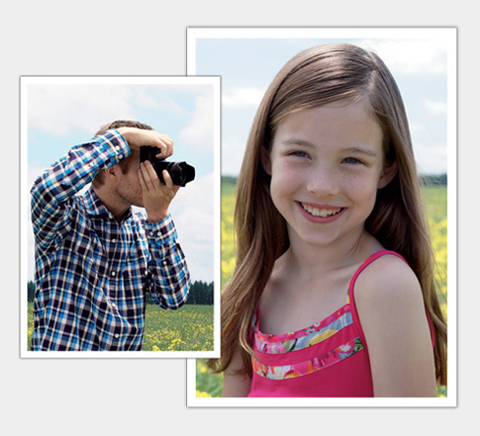 This is an ideal feature for photographers who prefer to keep contact with their subjects. Flash off, Auto flash, Fill-flash, Slow Sync., Rear Sync. Pros: Let's face it, anyone who has used a higher end camera will be disappointed in this product because it has an odd ball menu system and it's missing the bells and whistles some people have come to expect. But if you are coming from a point and shoot or just want a simple camera that takes great pictures without taking out a mortgage, this is the perfect camera. Other Thoughts: My previous camera was a Panasonic gf2 and I would still be using it if it didn't get wet when a bottle of water let go in my bag. The picture quality of this Sony is much better. Pros: Spectacular sensor for the price point. Afer a month of use, indoor and outdoor shots are consistantly good. Auto focus works great. Long battery life. Great bargain! Cons: Very minimal on the extra bells and whistles. Other Thoughts: Overall great camera for the price. Sure isn't at the higher end, but definitely not a bad beginner or grab and go type of camera.